The Ping Vault putter models are inspired by the legendary Ping Gold putter vault utilize various head designs which allow any player to experience a true and consistent putting stroke. Each Vault series putter features an individually milled face pattern which varies in depth and pitch across the face which maximizes ball speed on off center impacts, ultimately leading to less three-putts and a honest roll. This patented True Roll (TR) technology featured in all Vault putters is one of the most significant and measurable innovations in putting performance in the last several years and delivers ball speed consistency and accuracy. All four Vault Series models are offered in a Platinum or Slate finish. 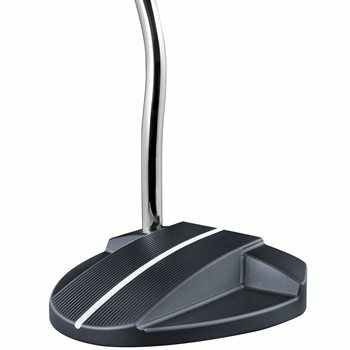 The Vault Bergen model is optimal for players with a Slight Arc or a Straight putting stroke. The versatile Vault Bergen model is optimal for players with a Slight Arc or a Straight putting stroke.